A cream specially formulated for dehydrated or fine dry skin with patches of redness and dilated capillaries. Recommended for drier or dehydrated skin with fragile capillaries, and with prematurely ageing skin concerns. 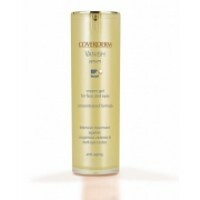 This protective treatment cream smoothes and strengthens skin with flushing tendencies. The hydrating and repairing action of the wild mango butter supports the active calming ingredients. Apply Sothys Clarte & Confort Protective Cream in the morning or/and evening on wellcleansed and toned skin. Spread the cream gently throughout the face and neck until it is fully penetrated. I use this when I am going through particularly dry periods and use the light cream the rest of the time. Together they make a great combo. 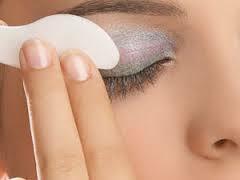 This creme smooths on and feels beautiful. My skin feels energised and hydrated all day. This product has greatly reduced the redness of my skin. The skin feels less sensitive to environmental extremes such as heat or cold. Overall a great product when used on a regular basis. Does not clog my pores or give me pimples. Nice thick creamy texture. I love this cream. Clarke & Confort Protective Cream was my first Sothys purchase many years ago. I have tried some others from Sothys -which are all great- but I'd have to say this one is my favourite as it's so moisturising and really does feel like it's protecting my skin. Have used this product many times and have never been disappointed, it leaves your skin feeling calm and hydrated. It is a MUST have product. I had bought this once before but was holding off because of the price, so glad I went ahead & got it though! I noticed a difference in my skin in a week, the redness had gone & it was clearer & just felt better. 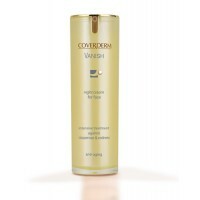 A rich gentle moisturiser for skin with broken capillaries or rosacea. If you have any redness in your skin (capillaries, rosacea, etc) this is a must. Treats the cause of fragile capillaries. I noticed a dramatic difference using the clarte & comfort (clarity) range from Sothys. The only products that don't leave my face looking like a beetroot. Cannot recommend them enough. Use as day cream of you have dry skin, or night cream if you have oily/normal skin. This product takes away any redness on your face. Best I've used. I have been using this moisturizer for one year now, and find it is very complementary to my sensitive skin. It leaves my skin feeling hydrated, without becoming oily. I've been using this prodcut for 2 years now and love the way it leaves my skin, soft and beautiful!